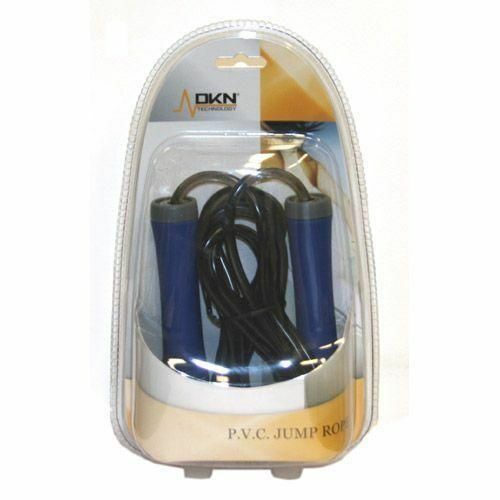 The DKN Skipping Rope uses the movement of the body as a natural toning tool and particularly focuses on the calves, thighs and lower body as a whole. This low impact, hard workout is used by many athletes - from boxers to sprinters and even through to team sports like football and rugby. It is excellent for developing coordination, timing and rhythm of movement. This heavy duty durable rope is made from nylon cord for premium long term use while the ergonomic handles offer a superb grip and holding facility. for submitting product review about DKN Heavy Duty Skipping Rope.